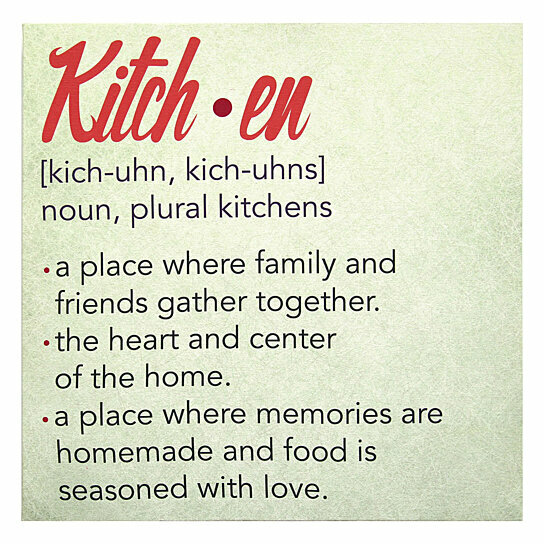 Bring a little personality to your kitchen with the charming Stratton Home Decor Kitchen Canvas Wall Art that shows the definition of "Kitchen". You will definitely enjoy cooking in a kitchen with this piece. D-rings to make hanging easy and convenient. Care instructions: Wipe clean with damp cloth. Material: 70% Canvas, 30% Wood. Color: Multi.